Many of us don’t think about how our body moves until something goes wrong. When it comes to the function of a joint, there are numerous factors, which can cause problems. Bones, muscles and ligaments are the main components of our joints which all have to work harmoniously to ensure fluid and effortless movements. When they are out of sync with each other pain occurs. Thankfully regardless of the nature of the dysfunction, strengthening the muscles around the joint typically results in decreased pain and increase in movement. The majority of activities require several joints to move together. This is the case for the shoulder. Besides the shoulder joint (gleno-humeral) it relies on the shoulder blade (scapula) and thoracic spine. If one of the three doesn’t have full mobility, pain in the shoulder occurs. 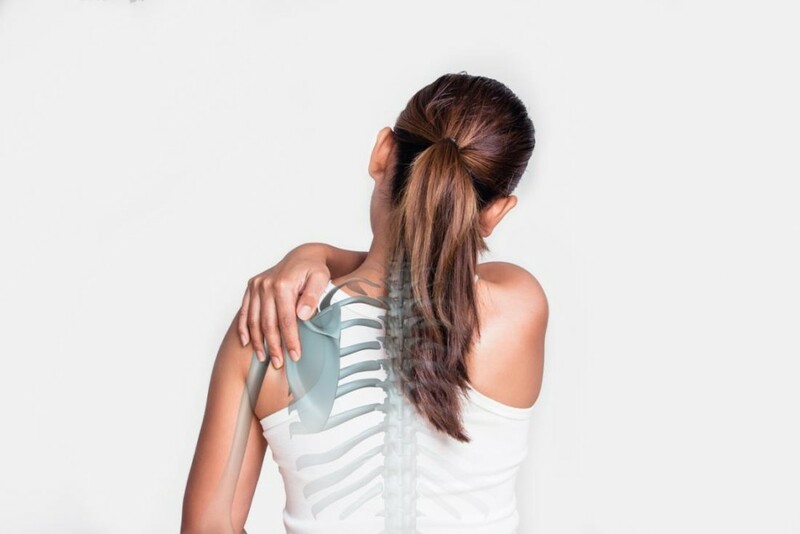 The shoulder joint is a ball and socket joint with a shallow socket, which allows for a wide range of motion. But the shallow socket also leads to numerous issues since it relies mainly on muscles for stability. Over time and/or with poor posture these muscles have a harder time keeping the joint in position. When one joint doesn’t function properly, a domino effect typically occurs, creating imbalance in multiple joints. When this happens pain/injury occurs. Most people have heard of the Rotator Cuff (RC). This term refers to four muscles of the shoulder that help to support the shoulder joint during rest and movement. These 4 muscles; supraspinatus, infraspinatus, teres minor, and subscapularis, attach the shoulder blade and upper arm to keep the ball in the socket. Rotator cuff muscles and tendons can be injured over time, or with a sudden injury such as a fall.. A tear can be partial or complete. Symptoms of a rotator cuff tear can include shoulder pain, stiffness, and weakness. You may have difficulty raising the arm overhead or lifting objects, especially above shoulder height. Getting dressed, washing your hair, or tucking in a shirt can be difficult. Sleeping is also difficult due to shoulder pain. An injury to your Rotator Cuff can cause numerous other problems like ‘Impingement Syndrome, Bursitis, Tendonitis, Instability and Thoracic Outlet Syndrome’. Strengthening the RC, and maintaining good posture can help treat and prevent most shoulder injuries. Thus regardless if your shoulder hurts or not, everyone should preform these exercises.